For over twenty-seven years, Roger has been involved in the construction industry in the state of New Hampshire. 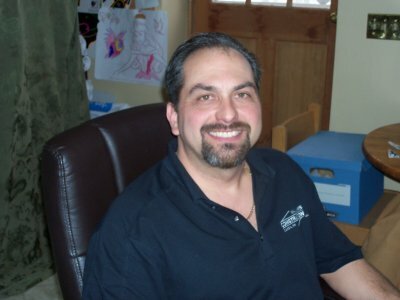 He is a past state President of Home Builders & Remodelers Association of New Hampshire. Starting at age six-teen, he knew what he was going to be doing for his life long career. Roger understands and appreciates the value of the educational process. His involvement with Pinkerton Academy in Derry and Manchester Community College, demonstrates the need of a formal education. At Pinkerton, he supports and attends the Pinkerton Career Night for the high school students, which gives the students direct access to potential employers from many construction trades. Roger is also a member of the advisory board at Manchester Community College in the Building Construction Technology Program. Rogers’s personal core values have been very successful for him in his personal life as well as in the construction industry. With a very high energy level in life, Roger is capable of motivating many people to accomplish any task at hand. In-Laws Construction always maintains a workforce level to keep up with their current and anticipated work load. The majority of all in-coming calls are the direct result of referrals from customers and the directories of the Better Business Bureau and Home Builders and Remodelers Association of New Hampshire. Roger and In-Laws Construction have won many awards including two Cornerstone awards and a Torch Award from the Better Business Bureau. Roger was also named the 2006 Remodeler of the year and is a Certified Green Professional, to name a few. Roger and his employees are always willing to go that extra mile to make the customer feel that they made the correct choice in the selection of In-Laws Construction. Chantal has an Associate’s degree in Business Management from Searle College, of Windham NH and attended New Hampshire College and obtained a Bachelors’ degree in Marketing and Business Management. She started In-laws Construction LLC. alongside her husband Roger Demanche Jr. 19 years ago working as the Marketing Executive overseeing all the daily affairs of the company which includes but not limited to: member of In-Laws Construction having the authority to make decisions, book keeping, human resources, banking, insurance compliance, photography, taxes and obtaining permits. Chantal enjoys being outdoors whether it be spending time with her children, nieces and nephews play, gardening or doing projects indoors and outdoors. She is also very family orientated and believes family is everything. Dave joined the In-Laws Construction team in May of 2010 on a part time basis. Dave’s responsibilities include customer relations, job estimation, web site management, and oversees the company’s safety program training and administration, and well as training. Dave brings with him over 40 years of construction experience as well as over 34﻿ years of teaching experience. For the last 31 years, Dave has been teaching Building Construction Technology at the Manchester Community College. Dave has had the opportunity to work in all areas of the construction industry and now has a chance to work along with his graduates. He has a lovely wife of 31 years and also has “three wild boys” in the house. Dave enjoys meeting and talking to people in the Candia and Manchester community where he was born and raised.